This fantastic Motorcyle Pinata is bound to be the higlight of the party! 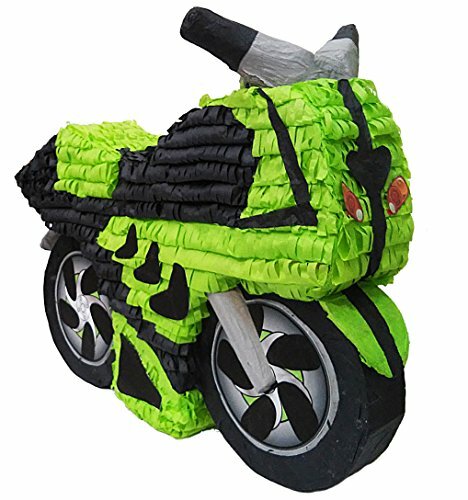 Featuring a 3D shaped black-green Motorcycle Pinata with print cutouts for nice details. This pinata measures 24 inches high by 21 inches long by 5 inches deep and can be filled with up to 3lbs of toys and candy (sold separately). You can use this beautiful pinata as centerpiece decoration for your food table or just fill with candy and toys and play the traditional party game!